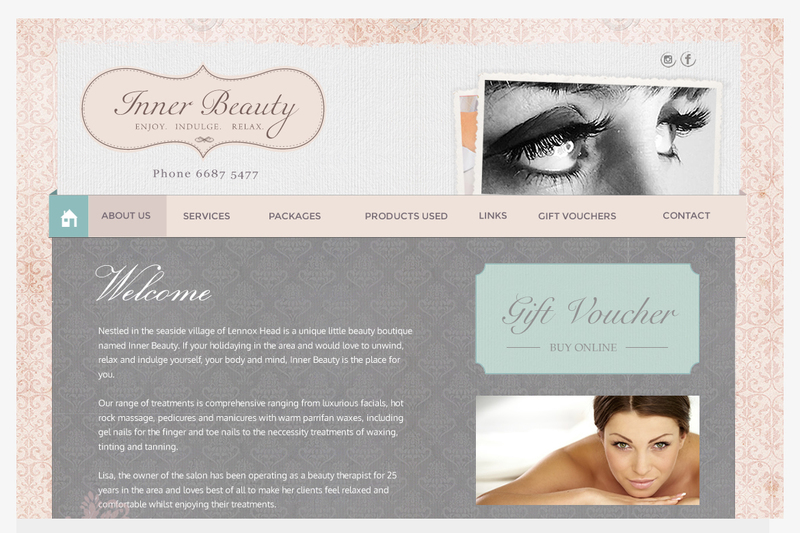 Inner Beauty is a full service Beauty Salon based in Lennox Head. They were looking for a new website to reflect and showcase their growing business and allow clients to see their full range of services. The website was designed to reflect the look and feel of the salon and create an idea of the beautiful experience the client will have when they visit. The website also features a Gift Voucher purchase facility.